Let me tell you about a beautiful book. 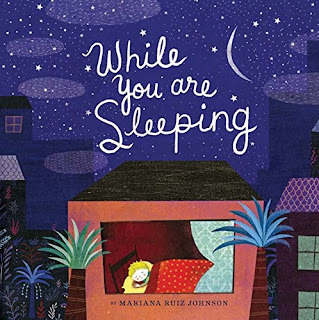 WHILE YOU ARE SLEEPING is a wordless picture book by Mariana Ruiz Johnson. This book may not have words, but it says a lot. It begins with a sweet image of a child at bedtime, listening to his mother read a story. With each turn of the page, the image zooms out, revealing more and more of what is happening as the boy sleeps -- in his house, his neighborhood, his town, and even (as I interpret it) in his dreams. 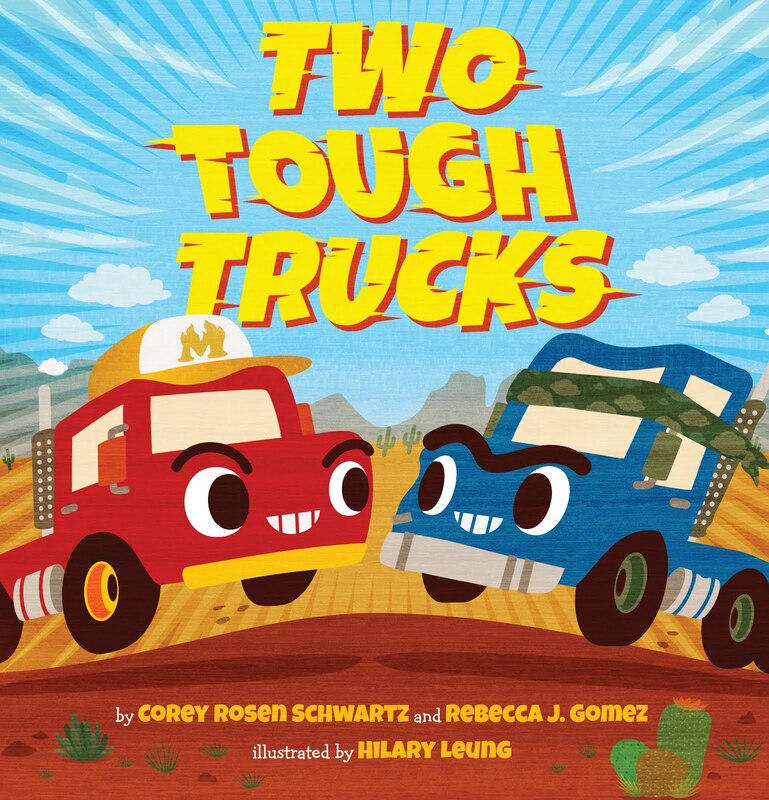 The illustrations in this book are vibrant and richly detailed, showing snapshots of other stories happening throughout the night and into the morning. A child in the hospital, a mother holding a baby, a group of friends having dinner, and a colorful group of interesting characters who head out on an adventure. Where did this group of characters come from? you may wonder when you see them set out to sea for the first time. So you'll turn back to see what you missed. And if you're like me, you'll notice something new even after exploring this book a few times. I recommend this book to anyone who loves pictures that tell a story. It would be an excellent book to share at bedtime to encourage a child's imagination to wander. 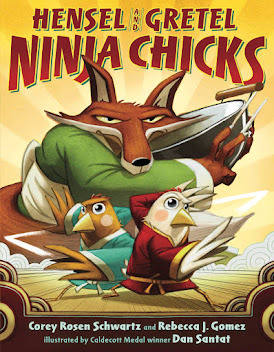 Share it with young ones who aren't reading on their own yet, or with budding writers looking for a bit of inspiration. 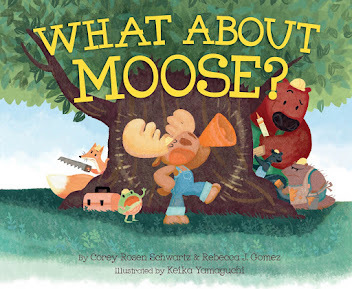 Whoever you share this book with, it will be worth adding this gorgeous book to your home or classroom library.